Product prices and availability are accurate as of 2019-04-19 19:04:20 EDT and are subject to change. Any price and availability information displayed on http://www.amazon.com/ at the time of purchase will apply to the purchase of this product. 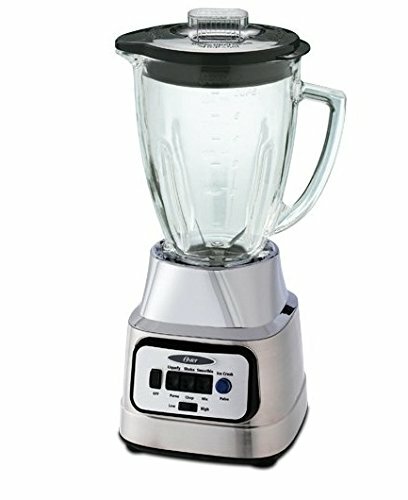 Brought to you by the #1 Blender brand. A blender that's anything but basic.Your life isn't basic. Your blender shouldn't be either. With this Oster blender you don't have to sacrifice quality for simplicity. The large capacity, 6-cup glass jar is dishwasher safe and has been Thermal Shock tested so you can pull it out of a steamy dishwasher and safely make a frosty cold beverage right away. The stainless steel "ice crusher" blade does just that so you get smooth frozen drinks every time. 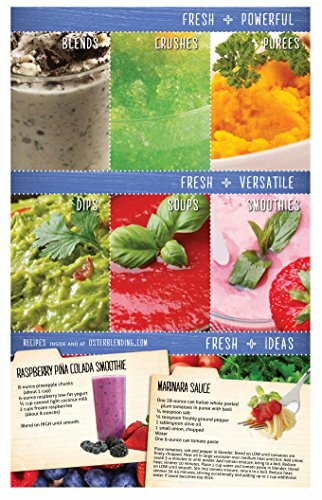 And 8 speeds and 450 watts give you the power to perform for every usage occasion from frozen beverages to dips, from sauces to smoothies, from soup to nuts. 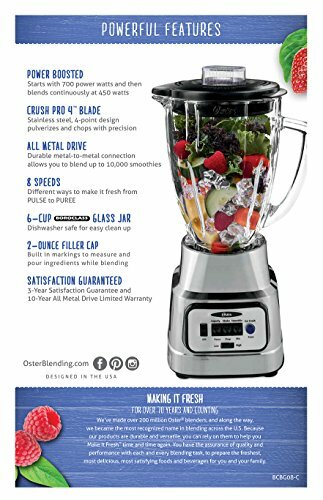 Like most Oster Blenders, it is made in North America and backed by the superior quality of All Metal Drive. 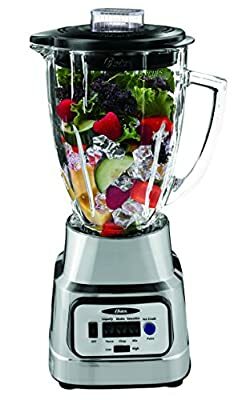 Because the two pieces that connect are metal (instead of plastic), you get a more durable and longer-lasting blender that will function flawlessly, party after party, year after year. The competition just can't compare. No matter the occasion, party for 15 or smoothie for two, blending is better with an Oster blender.